Whether it’s your first gym membership or you’re looking around for something new, here are a few things to consider before signing up. You probably wouldn’t buy a new pair of jeans without first making sure they're the right fit. The same should apply to a new gym membership. All good gyms will offer a free trial to all potential members and while you might be tempted to commit to the first gym you find, avoid the temptation and try a few to find the best one. A simple trial will give you a good sense of what you’re signing up for. Location, location, location! It’s important to choose a gym that's easily accessible. While you may be inclined to sign-up to the new state of the art gym on the other side of town, your good intentions of the daily cross-city commute with inevitably fade fast. Instead, choose a gym preferably within walking distance of your home or workplace. The less time, temptation and distractions you have to talk yourself out of a workout the better. Not only is the variety of the equipment important, the quality and maintenance are also worth checking out. Know your fitness goals when looking for a new gym and assess the equipment with this goal in mind. For example, if cardio is your priority, make sure the gym has adequate cardiovascular machines for all of its users. Make sure to check out the opening hours. It makes little sense to sign up for a gym open half days on Saturdays and closed on Sundays if the weekend is the only time you have free to exercise. Also, check out their holiday policies. Again, if you operate on a packed schedule, you’ll probably enjoy taking advantage of holidays to get in a good workout. Whether you’re the "in-and-out" gym user or a serial gym socialiser, a scoff from the gym reception is not exactly the best way to start or to end a workout. If you find the gym staff are not only rude and unfriendly, they’re unapproachable, choose a different gym. Swimming pool, sauna and steam room. While you may not have time on a daily basis to indulge in a sauna or steam post workout, it could be a lovely treat if you have some extra time on your hands over the holidays. Most gyms now offer a variety of fun group fitness classes. Even if you don’t intend on using them, these classes might come in handy during moments of low motivation or when you simply fancy trying something new. Make sure when trialing a gym to see the class offerings and schedule. Some gyms offer free childcare facilities. If you think you might need to take the little ones with you, this is definitely worth considering. While you’re unlikely to take a first date to your gym canteen, It’s worth checking out the menu. If you exercise before work, it could be nice to have access to a healthy breakfast before heading to the office. A good gym should have a few different membership plans to choose from. If the only option is a no cancellation 12-month contract, it might be worth considering your options. After all, a lot can happen in a year and you may not want to commit to a 12-month membership if you think you may be moving house or traveling in the near future. If you plan on only using the gym during off-peak hours, (Between 10 am – 4 pm and after 8 pm) ask about off-peak memberships. They tend to be a cheaper option. 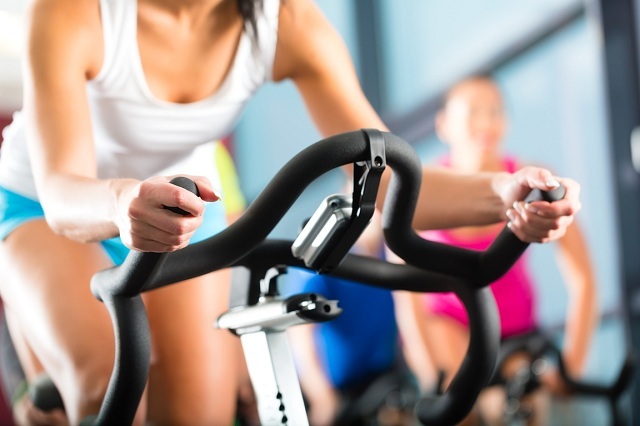 Gyms if not cleaned properly can be a cesspool of germs. No need to get out your microscope - just make sure to have a look around the gym, changing rooms, toilets and amenities. Good gyms should have easily accessible disinfectant sprays and towels so that members can wipe down equipment after use. Does the gym play music? And if so, how loud is it? While some people might enjoy repetitive 90s techno remixes played at full blast whilst squatting, most don’t (myself included)! If the music is so loud that you can’t hear your own playlist, it may be worth looking for a better option. You get a pretty good sense of the gym vibe by the sort of members it attracts. If the thought of being ogled at whilst working out or the narcissistic selfie snappers are enough to put you off exercising altogether, find a gym that attracts a more similar clientele to yourself. This is pretty obvious but do a little research online and read reviews. If there’s a negative point repeatedly highlighted in the reviews, it could be a sign that the gym doesn’t listen to or care about customer feedback and experience. While we all have our own preferences when it comes to choosing a gym, it’s definitely worth spending a little time researching some different options. As melodramatic as it might seem, choosing the right gym could make the difference between reaching your fitness goals and dropping out halfway there.